Here we are providing the Solved True / False Questions of Company Accounts, Cost & Management Accounts (CACMA) for CS-Executive Students. 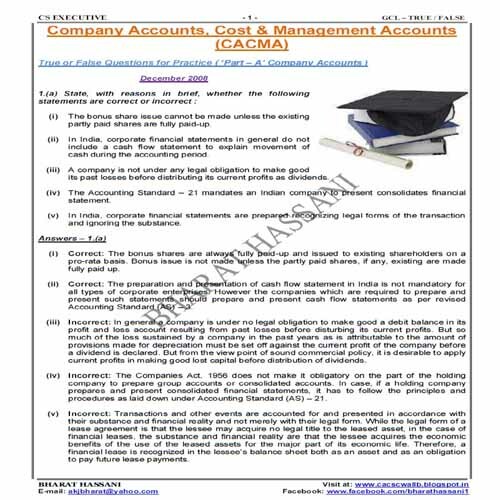 CS-Executive Programme Students can download Solved True / False Questions of Company Accounts, Cost & Management Accounts (CACMA) of past examinations upto Examinations held in June 2012. Students can download the Questions in PDF file format and practice for their better performance in CS Examinations.